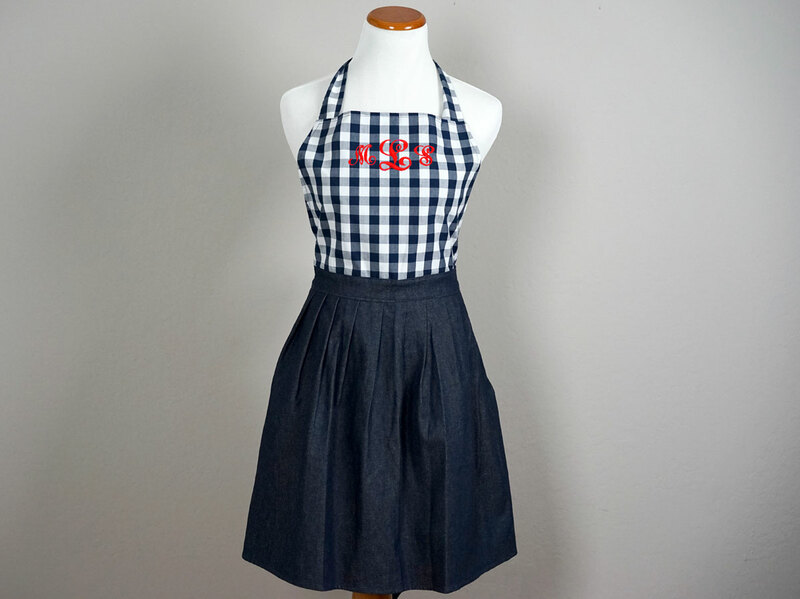 Wouldn't it adorable to wear a matching outfit with your little man? 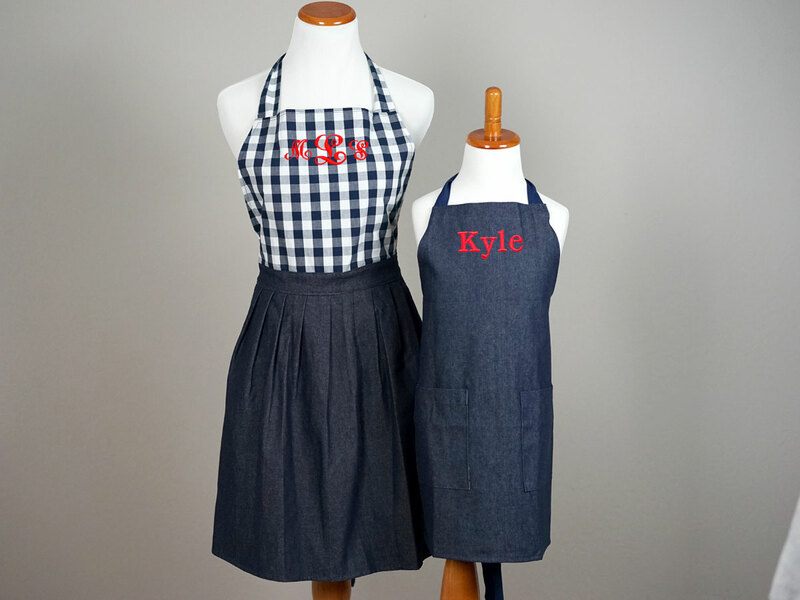 This mother and son apron set is perfect for the both of you! 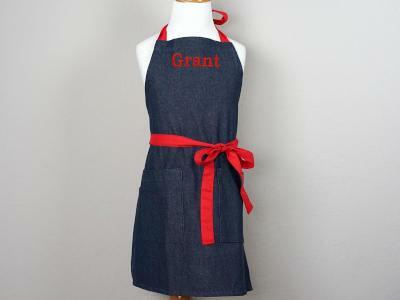 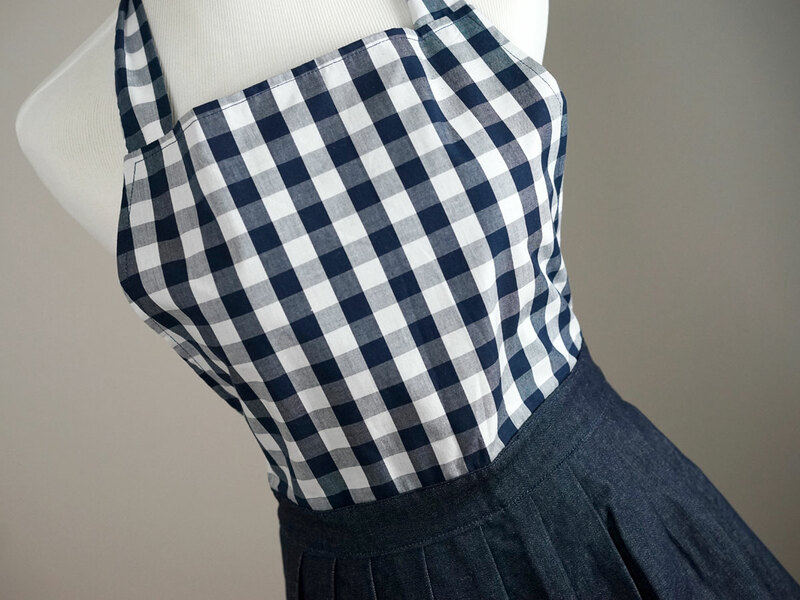 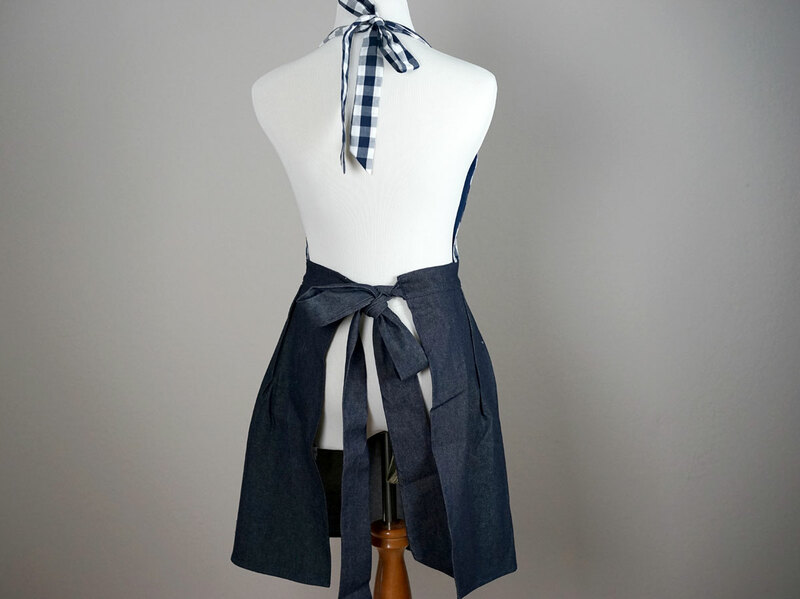 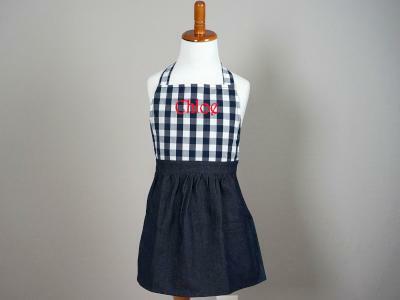 Mommy’s apron is styled with a lovely navy gingham pattern on the bodice, and a denim flare skirt and her little man will match in his navy butcher style apron. 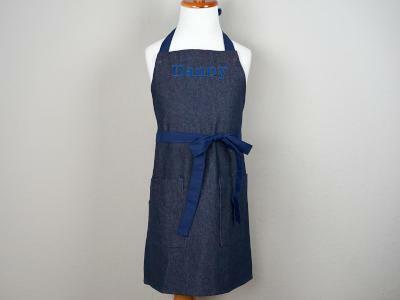 Both aprons are made from 100% denim cotton and have 2 pockets.